What does “Alpine Pearls” stand for? It stands for car- and carefree holidays. 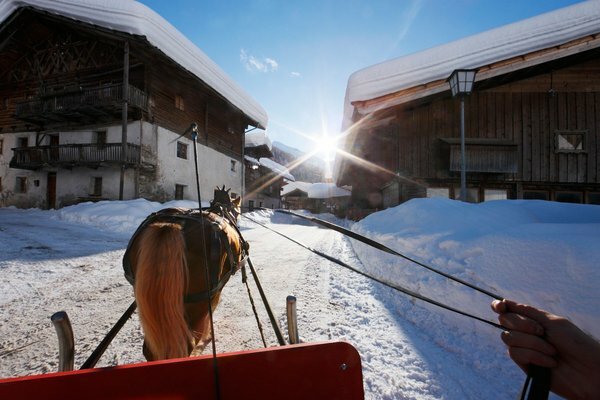 It stands for restful, stress-free and fun leisure time in 23 unique villages in den Alps. And it stands for exceptional environmental friendliness and green mobility. Like a necklace of pearls, these Alpine Pearl villages are strung across the entire Alpine area of Germany, Austria, Italy, Slovenia and Switzerland. This necklace includes well-known names of winter and summer sports destinations along with lesser known names of quaint resorts and insiders’ tips. What they all have in common is a concern for the environment and a method to protect it. 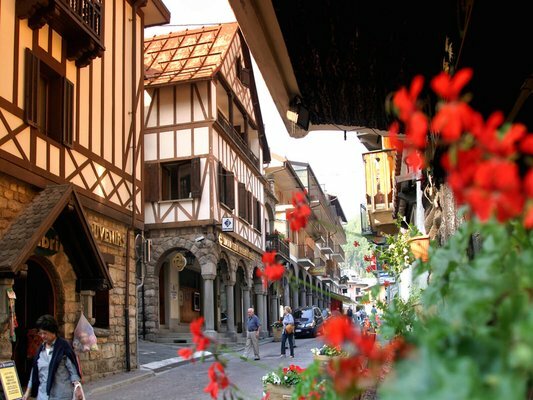 The umbrella organization Alpine Pearls joins together 23 of the most gorgeous Alpine villages in their quest for gentle mobility and climate-friendly holidays. Guests at these villages will enjoy carefully chosen environmentally friendly mobility solutions like nowhere else. These handpicked villages provide a variety of mobility options ensuring your ability to get around in ways that do not adversely affect the environment. Guaranteed! You can pay attention to what matters to you: experiencing action-packed, pleasurable, relaxing holidays. At the same time you are making an important contribution to climate protection and you do your part in leaving this earth in good shape for future generations. When you use the train and/or bus for your trip to a Pearl, you will take advantage of our typical Alpine Pearl comfort right from the start throughout your entire stay here. This gentle way of combining recreation with environmental awareness is up for grabs right now! Why wait? Book your trip to an Alpine Pearl-affiliated host right now. Every single Pearl is worth a trip. – Where to go first? South Tyrol at the foot of the Dolomites, Bad Reichenhall with its mild climate or the tiny hamlet of Chamois overshadowed by the Matterhorn? What these and all other Pearls have in common are spectacular mountain views, breath-taking beauty and authentic Alpine customs. No matter what time of year, these Alpine Pearls offer an abundance of recreational activities that will convince even the most demanding pleasure seeker. – They deliver on their promise to create unforgettable, climate-friendly and fun-filled holidays. And there is a special Pearl waiting for you whether you are looking for active outdoor adventures in the crisp mountain air or would rather spend some relaxing days enjoying wellness & beauty treatments. Whatever your goal, you’re sure to find the ideal Alpine Pearl destination for your individual desires. Our Alpine Pearl villages offer numerous premium qualities with a wealth of different holiday packages. You want environmentally friendly activities, outdoor fun and regional culinary delights wrapped around adventure, variety and quality, right? Just key in your individual wishes for a perfect holiday and you’ll find the specialists offering exactly what you’re looking for. That’s the easy way to discover your perfect destination, your very own Premium Pearl, which provides everything you’ve ever dreamed of. Hiking, walking, Nordic walking, mountaineering, climbing, bicycling, mountain biking, swimming, rowing, water sports, horseback riding, horse-drawn carriages, paragliding, cross-country skiing, biathlon, Alpine skiing, snowboarding, ski touring, ski mountaineering, ice skating, snowshoeing, sledding. 23 villages, which offer outstanding services – such as information and consulting – to help you plan softly mobile holidays with ease. Book your trip with one of the certified Alpine Pearl-affiliated hosts! In 2006, Alpine Pearls was established by 17 member villages, the “Pearls of the Alps”. The Association was the result of two successive EU projects (Alps Mobility and Alps Mobility II). Both of these projects originated in an initiative by the Austrian Ministry of Agriculture, Forestry, Environment, and Water Management. The idea behind the Alpine Pearls was to create innovative tourist packages that protect the environment. The results of these EU projects were implemented by creating the transnational umbrella organization Alpine Pearls for the entire Alpine region. From 2007 to 2016, new members were added, all of which support eco-tourism, climate protection, and sustainable holidays. Today, 23 Pearls of the Alps in five countries help you enjoy carefree holidays in one of the most spectacular regions of the world, while at the same time being mindful of the environment. Let yourself be inspired by the Pearls of the Alps. Leave your car at home. Hop on a train or bus and take the time to discover the natural beauty of the Alps, the hospitality of the people and the rugged quality of the regions. Have a fantastic trip!